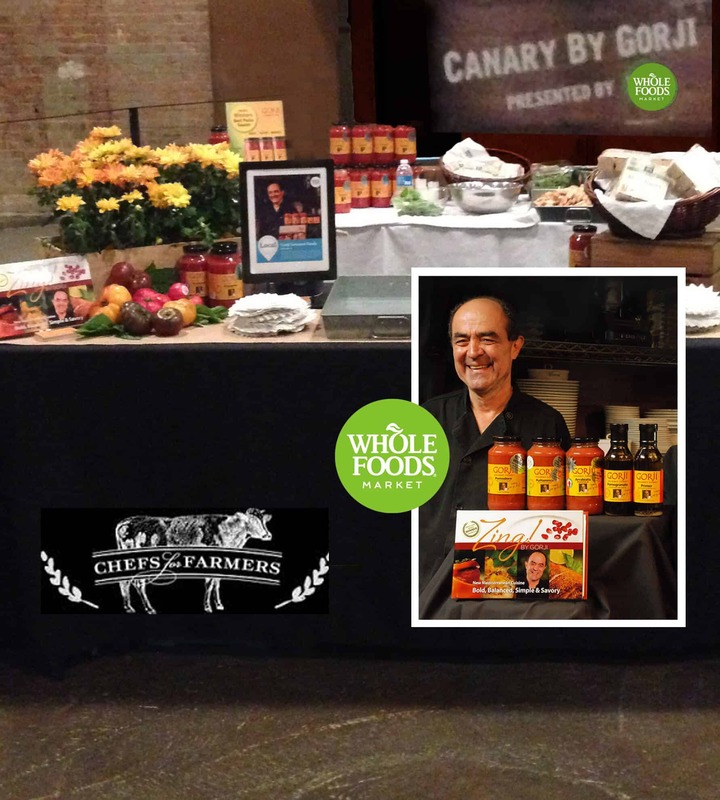 Gorji and Whole Foods team up to serve taste treats Sunday, September 25, at Gilleys in Dallas, Texas. Gorji and Whole Foods team served mini bruschetta made with award-winning Gorji Gourmet Pomodoro Sauce, shredded Parmesan and a sprig of basil. A devilish shooter made with Gorji Gourmet Arrabiata Diavolo was also sampled. The culinary festival features more than 60 chefs, 35 farmers and artisans, and 50 wineries, distilleries, and breweries. The three day culinary event Chefs For Farmers 2016 showed off the talents of Dallas’ best chefs and food artisans while celebrating the farmers that make great food possible. Events benefit The Family Place, Cafe© Momentum and North Texas Food Bank. No Replies to "Chefs For Farmers: Whole Foods Serve Up Gorji Gourmet Sauces"